Picked up Terra at Newfound Gap around noon. 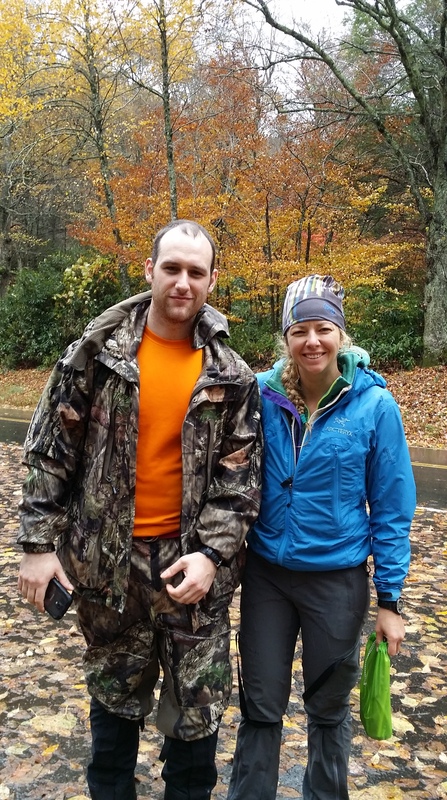 Another hiker, Mark, a 20 – something from Long Island, had been up at Icewater Springs shelter up on the AT with Terra and was looking to bail as well so we gave him a lift too. He was heading in the same direction as where Terra’s car was parked so we dropped them off at Mark’s car and went to grab some lunch. Spent the rest of the afternoon puttering around on the Little River Trail and at the bridge over Middle Prong hoping to get some decent pics. Surprisingly enough, the rain held off most of the day. Winds were strong, especially up at the Gap when we picked up Terra and Mark. Not so bad on our walk along Little River. 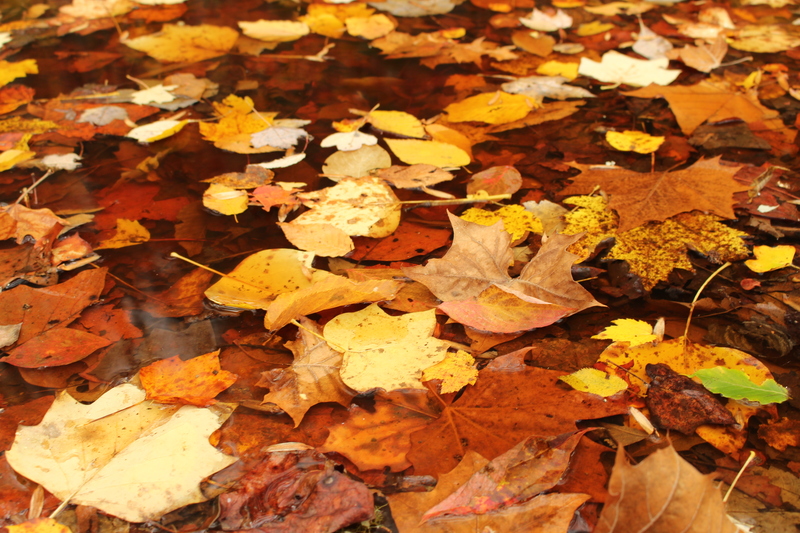 It has literally been raining leaves, though, and every freakin’ deciduous tree in the park will soon be bare. We keep changing our plans each day, due in part to the lighter than expected crowds. 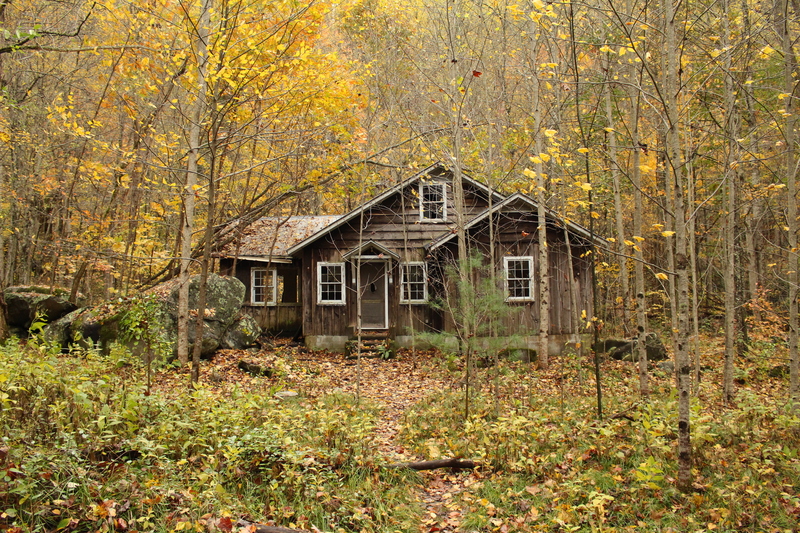 And now that a lot of the leaves are coming down we just might hike back to the Avent cabin in the Elkmont area and then head back to Cades Cove in the hopes of FINALLY getting some decent bear pics! We’ll see. One of the remnants of the old Elkmont vacation community along the Little River Trail. ← Appalachian Trail, Beautiful Colors and Bears!